Main Office Hours: 7:30 a.m. to 4:00 p.m.
Full-Day Kindergarten: 8:45 a.m. - 3:00 p.m. Integrated Pre-school AM Session: 8:30 a.m. - 11:00 a.m. Integrated Pre-school PM Session: 12:15 p.m. - 2:45 p.m. WELCOME TO COLD SPRING SCHOOL! We are committed to student achievement and individual success for each learner. The students are our primary concern and we take all aspects of their growth and development very seriously. We aspire to provide a quality education for all students while addressing individual needs, strengths, challenges, and unique learning styles so that they may reach their fullest potential. Our early childhood learning environment fosters an appreciation of individuality, diversity, and citizenship. It is our hope that our students will develop a desire to become life-long learners, contributing members of society, and that they will pursue academic excellence as they begin their educational journey with us at Cold Spring School. Kindergarten Registration for the upcoming 2019-2020 school year will take place at Cold Spring School on Friday, March 8th from 8:00 am to 3:30 pm and Thursday, March 14th from 3:30 pm to 6:30 pm. If you are a resident of Belchertown and have a child who will be five (5) years of age on or before September 1, 2019, please plan to attend one of these registration dates. Click here for Kindergarten Enrollment Packet to be completed and returned to Cold Spring School at your earliest convenience. Pre-printed packets will also be made available during Kindergarten Registration or Cold Spring School office between the hours of 8:00 am and 3:00 pm at 57 South Main Street, Belchertown. 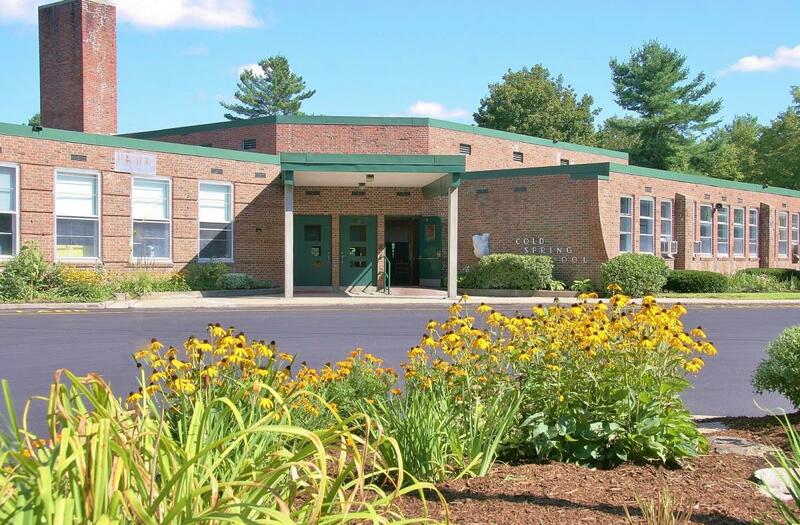 The Belchertown Public School Integrated Early Childhood Program is inviting families to register their three- and four-year-old children for preschool to be role model peers during the 2019-2020 school year. This program is tuition-free. Applications will be available at Cold Spring Early Childhood Center located at 57 South Main Street, Belchertown, MA beginning April 1st from 8:00 – 3:30 or for Pre-K Enrollment Package, click here. All applications must be returned to the Cold Spring office by April 26th. Pre-K screenings will be scheduled upon receipt of student application. Please note that students must be three (3) years old prior to screening and placement in the program. • Students must be three (3) or four (4) years old on or before September 1, 2019 to be placed in the program. • Students must be completely toilet trained. Should the number of applications exceed the number of open spaces, students will be placed on a waiting list. If necessary a lottery will be held on Friday, June 7, 2019 at 3:30 pm at Cold Spring Early Childhood Center.